I have not heard from my friend in a month. I am worried, and I miss him. 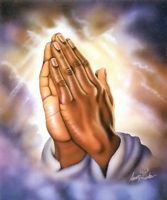 Pray that God be with I everything he does and that I soon know that he is OK and we are still friends. Pray with me in agreement that I hear from him by Veterans Day (November 11) and that he tells me that he missed me, too and that our friendship is important to him.